Join us in Grande Prairie, Canada for the opening of Shadow of His Wings Ministry - Canada! Please begin praying now for His hand to move and to heal. God laid on our hearts, several months ago to expand Shadow Of His Wings Ministry to other locations that the ministry has touched. Grande Prairie, Alberta is one of those places. We have felt a drawing to this place for some time and we feel God is saying, "Go"! The Agape Dome and Shadow Of His Wings Ministry here in Fischer, Texas will always be our home and we will continue to provide all of our regular retreats, counseling, and healing here. But sometimes God says, "Go where I will send you!" We have heard the words for some time now, "You are the counselor to the counselors! More healing needs to be done!" There are great folks in Grande Prairie, Alberta ready for the call to offer the same healing and hope that we provide here to others in their community! Please pray for us and join us in our efforts! Welcome our Ministers to Canada! 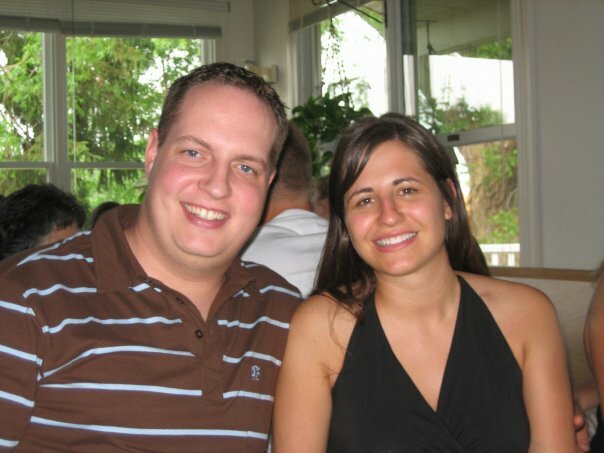 Shadow of His Wings Ministry is excited to welcome Steve and Kristy Logan! 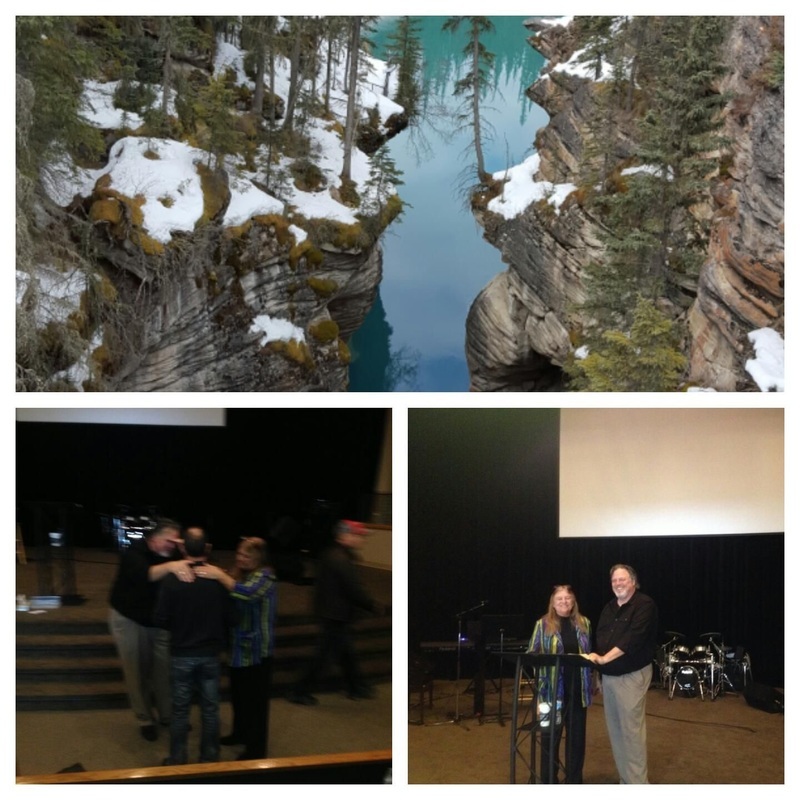 They have a wonderful heart for ministry, healing, and hope in Canada! We love them and welcome them to Shadow of His Wings Ministry! Steve is a Pastor and has a passionate desire to lead and shepherd the wandering and the lost. He has a heart for Men's Ministry, healing the broken, and sharing the Gospel to a lost and broken world. Kristy is a Minister of Healing and Prayer. She also has a beautiful heart for women. Her passions shine through when she is doing what she does best, ministry. Kristy has an amazing ability to see into the heart of the broken and hopeless! They have 4 beautiful children and live in Grande Prairie, Canada! Please welcome them and pray for our adventures as we are "about our Father's business"! Look for Healing Retreats coming in August and September! We will be kicking off Shadow of His Wings Ministry in August/September! Check this site for more information!. 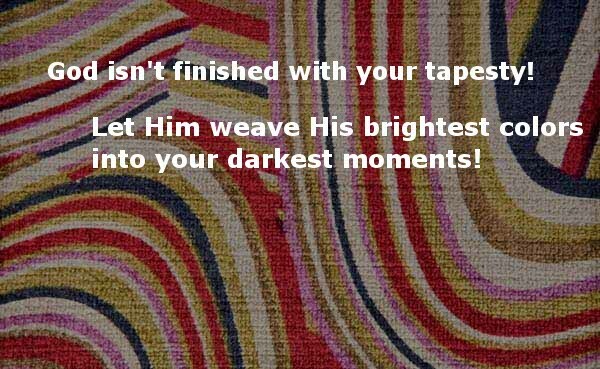 God takes the broken threads of our lives and weaves them with brilliant color! Don't forget that God has a brilliant plan for your life and for even the broken areas that you think He would never want to see. His plans for you are perfect and He knows them! He will begin to weave color into your darkest moments. He is a God who makes all things new!